NSCDS sophomore Edith Edwards-Mizel of Winnetka scored four goals in Tuesday’s supersectional against IC Catholic Prep. Edith Edwards-Mizel was on pace to score 48 goals in one soccer match earlier this week. The North Shore Country Day School sophomore midfielder-forward settled for four — including an astounding three goals in the first five minutes — in the Raiders’ 7-1 defeat of IC Catholic Prep’s Lady Knights in the Class 1A River Forest Supersectional at Concordia College May 22. The barrage by Edwards-Mizel at the outset was the fastest hat trick ever recorded by a female Raiders soccer player. 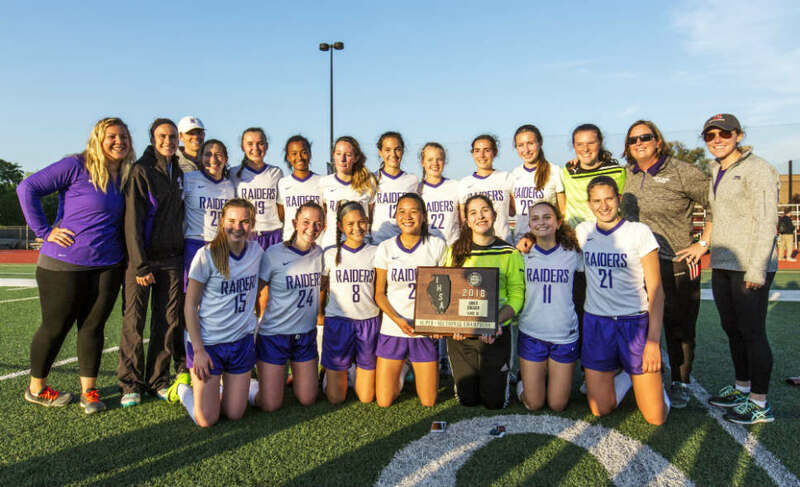 Edwards-Mizel, of Winnetka, tallied all four of her goals in the first half, and NSCDS advanced to the Final Four in the state tournament for the first time in program history. 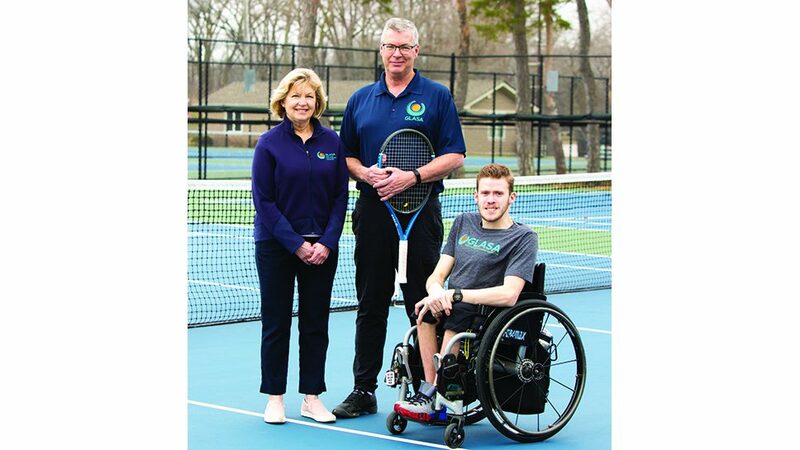 Coach Lizzy Giffen’s squad faces Chicago University-High in a state semifinal at North Central College in Naperville May 25, beginning at 7 p.m. NSCDS edged U-High 1-0 in an Independent School League contest April 17. 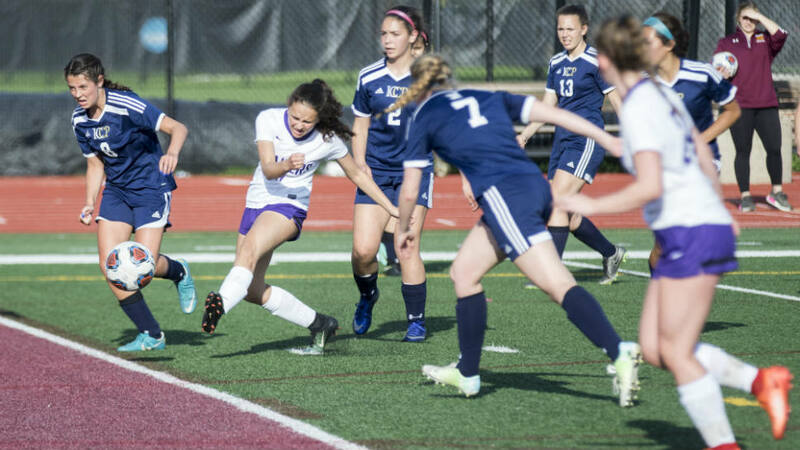 Northfield native and sophomore midfielder Allie Charnas scored twice in the second half of the supersectional, and junior midfielder-forward Paige Forester, a Glencoe resident, netted the other goal for the victors. Edwards-Mizel has team-highs of 26 goals and 21 assists in 19 matches. Raiders junior back-midfielder Emily Weil ranks second among teammates in points with 15 goals and nine assists. Other NSCDS booters with double-digit goal totals include Forester (11), Charnas (10) and sophomore back Caroline Segal (10). 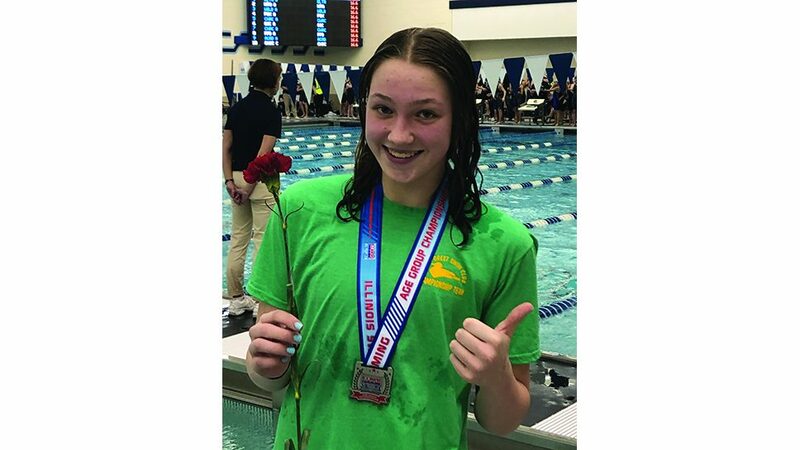 Raiders junior goalkeeper Abby Renaud — the starting goalie on the school’s state runner-up field hockey team last fall and a Northwestern University field hockey recruit — has 74 saves and a goals-against average of 1.11 in 19 matches. Senior keeper Gabby Greer and senior back Anna Brennan are serving as NSCDS co-captains. The other Class 1A state semifinal at NCC May 25 features Belleville Althoff (19-3-4) and Quincy Notre Dame (24-3-2). 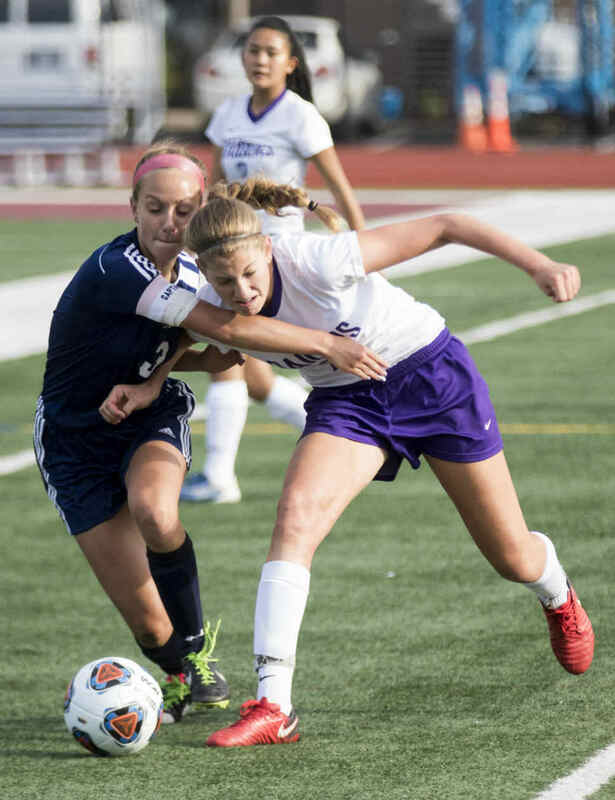 NSCDS junior Paige Forester of Glencoe (right) fights for possession in the supersectional. The Raiders pose with their sectional plaque.